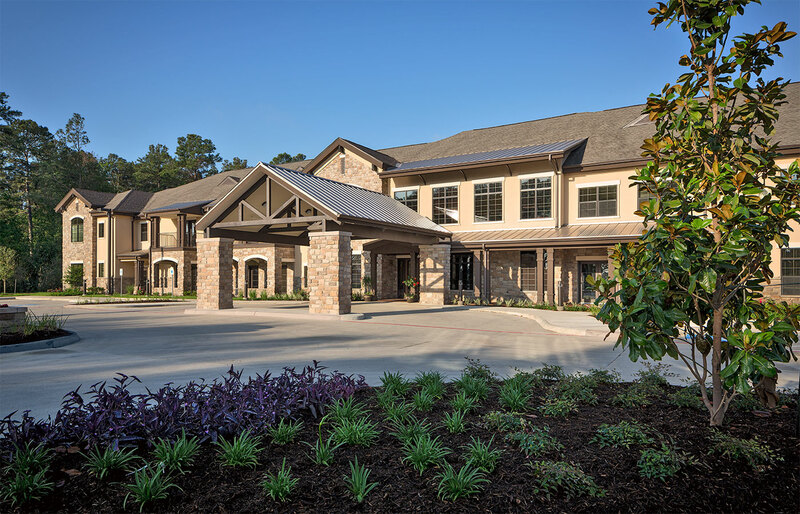 Bridgewood Property Company and Retirement Center Management of Houston, Texas have acquired Spring Creek Village Assisted Living and Memory Care located in Spring, Texas. Spring Creek Village originally opened in 2013, features 60 spacious Assisted Living apartment homes and 48 private Memory Care Suites. Its perfect location, beautiful landscaped courtyards, unique architectural design and luxury interior décor was the ideal addition to the expanding Bridgewood Property Company & Retirement Center Management portfolio. Spring Creek Village is located at 20305 Holzwarth, Spring, Texas 77388. The Spring Creek Village community is designed for seniors who need some assistance with daily activities. Residents enjoy chef-prepared meals, housekeeping, transportation, and social activities. Support is provided by a well-trained staff, including licensed nurse for medication assistance and supervision. The needs of individuals with Alzheimer’s disease and memory loss are also served in a cozy secured neighborhood built upon a person-centered care philosophy that gives residents a sense of security, comfort, dignity and well-being. “We are very excited to introduce Spring Creek Village Assisted Living and Memory Care as our newest edition to the RCM family,” says Jim Gray, President of Retirement Center Management. “Today’s seniors are very savvy and their expectations are high. Our residents and families want what we all want—to Live Life Wellᵀᴹ. Our team at Spring Creek Village is committed to providing excellence in service, an experience that exceeds your expectations, and a home where your well-being is our passion,” said Gray. To learn more about the community and to schedule a personal tour, please contact the community at 281-257-2299. Our visit them online at www.springcreekvillage.com.